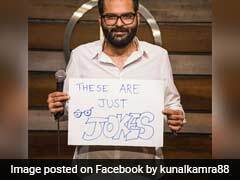 "He was literally moving across the grass at full speed with the frogs hanging on," said Paul, who shot the photograph. 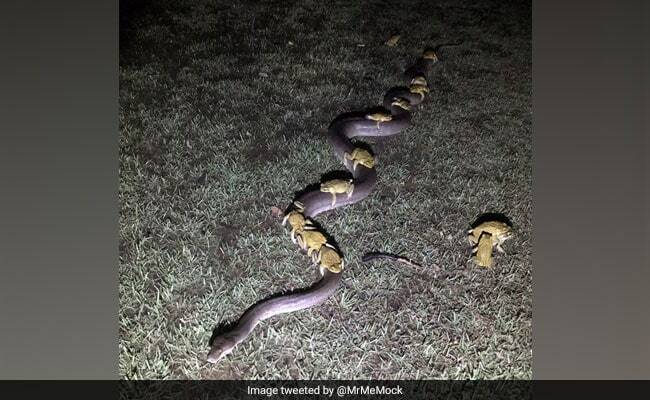 A huge storm in Australia on Sunday night brought with it an unusual sight - 10 cane toads riding on the back of a python. According to BBC, Paul Mock, of Kununurra in the far north of Western Australia, was at home on Sunday night with his wife when the storm hit their property. The Guardian reports that the huge storm dumped 70mm of rain into their dam, which forced Paul to venture out and check on it - which is when he saw the bizarre sight. "The lake was so full it had filled the cane toad burrows around the bank and they were all sitting on top of the grass - thousands of them," he told the Guardian. He was their resident python - a 3.5m snake called Monty - escaping the flood with a band of cane toads using him as transport.